Search engine optimization, commonly referred to as SEO, is the process of employing various techniques to improve a websites position in the organic search results for a targeted set of keywords. When it comes to optimizing a website there are two areas of focus, on-site optimization and off-site optimization, each of which is equally important to achieve positive results. Proper on-site search engine optimization ensures that search engines like Google, Bing, and Yahoo can easily and accurately determine what your website is all about. This allows them to display websites that are relevant to the keywords their users have searched for. However, with hundreds or in some case tens of thousands of other sites competing for the same keywords, how visitors interact with your site also plays a major role in search ranking. Hyper Text Markup Language (HTML) is responsible for the structure and layout of a website. It defines elements by enclosing them in tags. These tags and their attributes not only tell the web browser how to render the webpage, they also tell the search engines how elements on the page relate to one another and which sections contain the most important text. Using the correct HTML tags and assigning the proper attributes dramatically increases keyword relevance and in-turn boosts search engine ranking for those keywords. User experience/interface optimization focuses on how visitors use and interact with the website. Every website must have a purpose and appeal to its intended audience and be of some use to them. It must also be easy to navigate. By monitoring user behavior we can tweak the site to improve visitor flow and user experience keeping them on the site longer. This will increasing conversion rates, average sale, pages per visit, and decrease the bounce rate. Not only will your sales increase but your placement on the SERP will increase as well. The content of a website tells your potential customers and the search engines what your company is all about and what services you offer. To rank well in the the search results the content must be well written, organized, keyword rich, and engaging. To properly optimize a website’s content user behavior and positioning in the search engine results page (SERP) must be monitored. Once a baseline is established small changes to the content are made on a regular basis to modify keyword relevance, visitor behavior, and increase conversions. 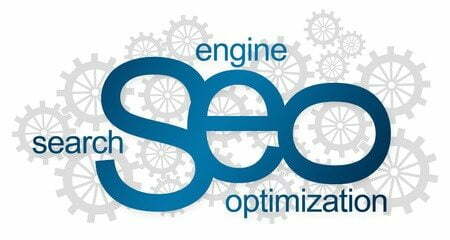 Off-site SEO focuses on driving traffic to your site from other sources and building reputability. This is accomplished by utilizing a variety of methods including e-mail marketing, directory listings, guest blogging, social media, pay-per-click advertising, and many others, some online and others offline. Our team of professionals will determine the best strategy for your company and implement various techniques to track and monitor which resources are the most beneficial so you can get the most bang for your buck within your budget.